In English football we tend to think of bravery as being prepared to fly into tackles or throw yourself into the way of goal-bound shots. There are of course different ways to show bravery on a football pitch. 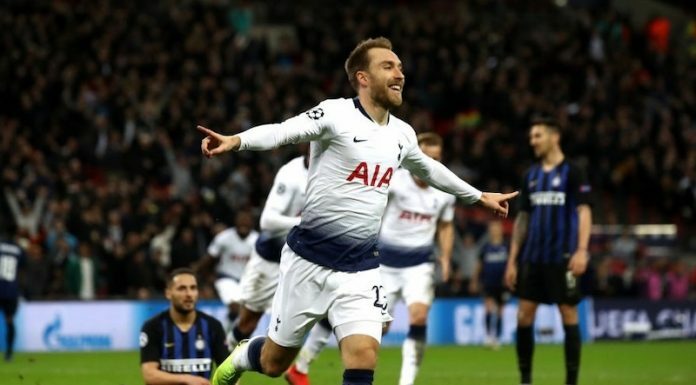 Christian Eriksen is often guilty of shirking a 50/50 challenge but when the ball comes to him in the last minute and he has a chance to score, he takes responsibility and shoots rather than passing both the buck and the ball. That’s the sort of bravery that wins games. Another Spurs player showing courage right now is Roberto Soldado. His big money transfer from Valencia has been a complete disaster, with the player who was so prolific in Spain scoring just seven league goals in 40 appearances for Tottenham. Soldado was so ill-suited to the system under Andre Villas-Boas and completely starved of service, that over time his confidence in front of goal completely disappeared. Now, when a rare chance does come his way, it’s like he’s got a mental block that prevents him from doing what once came naturally. In other sports they call it ‘the yips’ – a condition that results in the loss of fine motor skills, resulting in a sudden decline of previous abilities. It’s a well-known phenomenon in golf and is also prevalent in baseball, cricket, darts and snooker among other sports. In football such a condition is not talked about. Instead the player is merely labelled as rubbish and a waste of money. There is some sympathy in other sports. In football there is only derision. This of course can only make things worse. Imagine the added pressure that comes when several thousand people all let out an audible groan at the same time as if you’ve let them down, or how you feel knowing that your every missed shot will result in dozens of memes and crap jokes on Twitter at your expense. Not everyone can handle that sort of pressure. They invent an injury or try to force a transfer to a new club where the slate will be wiped clean. 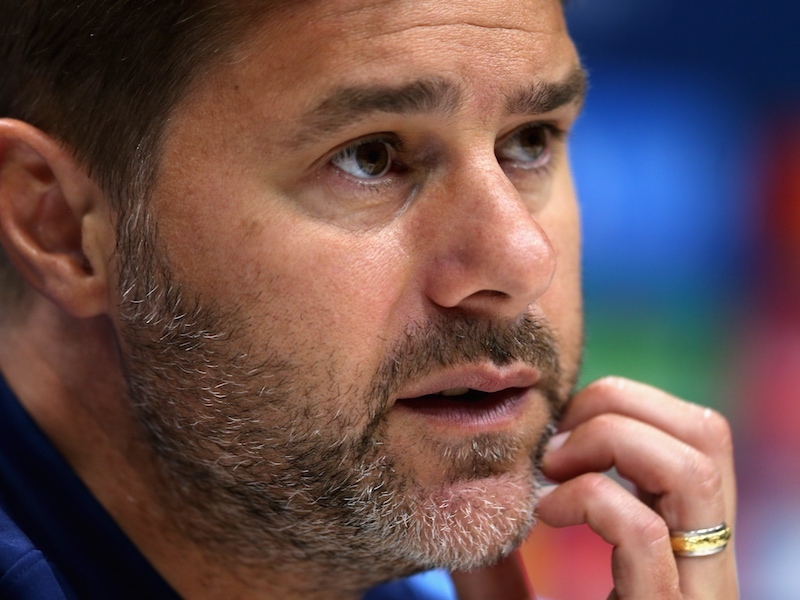 Roberto Soldado has not sought to run or hide. Instead he’s clearly trying his very hardest to reverse his situation. He still shoots despite the the doubts must run through his mind when he strikes the ball. That’s bravery. Every other part of his game is functioning well. He holds the ball up, brings others into play and displays vision to create chances for others. It’s just scoring goals that’s proving to be a problem – the very thing he was brought to the club to do. You can tell that it’s bothering him. That he’s desperate to score goals for Spurs. He cares. There’s plenty of other players who clearly don’t care a jot whether they’re failing to live up to their own personal standards or are letting down their teammates. As long as the money comes in each week they’re happy. Soldado is not one of those players and it’s why he deserves everyone’s patience. Not patience in the sense that one day things will turn out all right – they won’t. Things have gone too far and he will never score the goals he dreamed of at Tottenham. We can only hope that a move might improve things for him, but there are plenty of examples which suggest it may not. No, Soldado merely requires our patience while he plays out his last few weeks or months at the club before he’s inevitably sold. That’s not to much to ask for someone who in a funny sort of way is acting as shining example to everyone at the club. Dan…agreed. But your blog begs the question as to why you think this needed to be out in writing. Soldado’s support among the Spurs faithful is quite evident and he himself has tweeted about his embarrassment when the fans sing out his name in every match when he personally does not feel worthy of their support given his goal scoring drought. Compare this to the boos that rang out when Ade was subbed in in the last game against Sunderland and that will stand out in stark comparison to the manner in which Soldado is treated by Spurs fans. I think most Spurs fans appreciate Bobby’s effort and attitude. The same cannot be said about their view of Adebayor and his blasé attitude towards the game, his employer, and the fans who ultimately pay his wages. I think the fans have already got this one right. We know of his quality. It’s all the trolling that annoys me. I hate to admit this, but I think of the same about Ozil at Arsenal although he’s atleast got decent stats there. Still, that’s a high profile where Soldado is just a very hard worker.. still, a striker needs to score. Our other two London clubs have amazing wingers and that’s what we absolutely need for Soldado to click.